The EU’s foreign minister, thanks to the British officially known as the “High Representative for Foreign Affairs,” is a job where people assumed that with the Lisbon Treaty a person with much of a glittery personality would be chosen. However, exactly because of the fear of some EU members, the opposite happened and a lady was chosen who was hardly known at all. 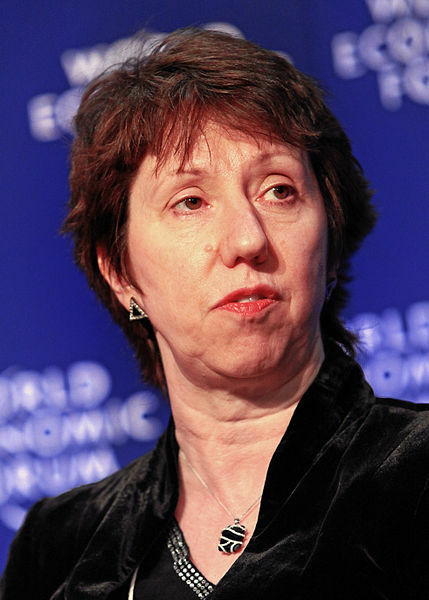 When Baroness Catherine Ashton, 57, was given the job in 2009, the British national was criticized for everything, including her lack of experience, charisma and profile. However, four years later, thanks to successes to reach deals between Kosovo and Serbia and most recently her firm pursuit of a deal to curb Iran’s nuclear program has won her a lot of good press and history’s verdict seems to change about her. Ashton was a second-tier British politician and not much was indicating to a big career ahead. But then Gordon Brown decided that he needed EU trade commissioner Peter Mandelson back in the UK and Ashton was his replacement for a year in Brussels and she found herself in the middle of the Doha round of talks on world trade. In 2009, Ashton was picked as the EU’s foreign policy chief that caused criticism from all corners across the spectrum. The press disliked her from the beginning. The Telegraph wrote that this was “the most ridiculous appointment in the history of the European Union.” The Spectator stated that Ashton “has the charisma of a caravan site on the Isle of Sheppey.” The Economist criticized that she would be “allergic” to the media and she would not show leadership to Europe’s foreign ministers. Finally, Le Monde reported in 2011 that a French diplomat in Brussels reportedly said that “tout le monde a tourné la page, Mme Ashton est nulle,” suggesting that Ashton is a “zero” or a “nobody.” Also the pro-European federalist online magazine Le Taurillon saw her as a total failure and showed her the “red card,” exactly a year ago. This image, however, has changed in the meantime. At the beginning of her term, Ashton’s concern was all about establishing the new, united EU External Action Service (EEAS) where three different and reluctant departments and their eight different buildings had to be brought under one roof, a budget to be negotiated and the right mixture of diplomats made up from national and European diplomats to be found. At the same time her own level of knowledge and experience on foreign policy matters had to be shaped and increased. Yet, all that often it is not so much about knowledge as about the approach and the skills a person is able to show. At the beginning, however, whatever Baroness Ashton did – it was constantly faced with criticism by pretty much everyone. The criticism has stopped, 2013 was a year of changed perceptions on Ashton and her leadership skills. In April 2013, she brokered a deal between Serbia and Kosovo which ended a more than decade-long impasse between the two countries in the Western Balkans. Although the EU had quite some leverage power, it was hard to bring the parties to the table and even harder to get them to agree to anything. Despite the difficulties, the newly formed EEAS succeeded to go about a strategy to declaring an end to formal discussions in the EU-facilitated dialogue when Serbia and Kosovo failed to reach an agreement on 2 April 2013. The initiative suddenly was with the Prime Ministers who had to convince their constituencies behind a compromise while the EU Council opened the door towards closer relations with the EU. Ashton “gambled” and won as two more rounds of informal talks under her leadership were necessary to hammer out a deal on 22 April 2013. Ever since, the relations between the two countries have been bumpy, but certainly improved a lot thanks to the newly EU-mediated framework. 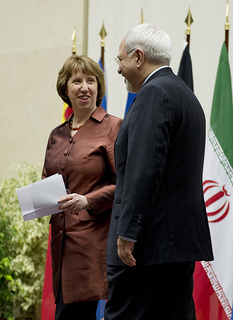 Half a year later, Ashton managed to exceed any expectations as she chaired the talks of six global powers that agreed with Iran in the end of November 2013 to curb its nuclear program. She found her admirers as she was in the epicenter of these historic talks and the agreement has even been coined as “Ashton accords.” Senior diplomats and the media have largely given the credit to her that a (preliminary) agreement was reached. The agreement was hailed, and rightly so, as a great diplomatic triumph. Ashton herself has shown the skill to patiently broker this important deal that was considered by many as simply impossible. Her ability to stay on the sidelines has proven an asset in the negotiation room. Ashton is known to be hardly noticed. That is a benefit for her as she is representing an organization where the member states still retain their own ambassadors and run their own foreign policies and have a hard time to accept the advanced EU influence in this field. Even worse, quite many foreign policy issues have fundamentally different objectives among the 28 EU member states. A third issue, next to Kosovo and Serbia as well as Iran, that has hardly been noticed is that Ashton tried to be close to all parties in the Arab spring, the defining series of events of her time in office. As of now, she is the only world-ranking diplomat whom everyone in Egypt will still talk to. Thus, she spoke to the ousted president, Mohamed Morsi, while nobody else would be able to do so. Diplomacy is much about the capacity to make trusting personal relationships. Ashton is able to do so with “quiet diplomacy” in the world’s hot spots. In comparison to her activist predecessor Javier Solana, she deliberately sought a much lower profile as the EU’s first foreign policy chief. Sometimes it is more important to be silent and rather manage the process. Although she might not say so much as others, people close to her say that she can sum up, synthesize and put forward ideas for the next step. And this is what a good diplomat is all about, also on the highest level. Thus, Ashton was the right pick after all.